Donald Ewart: it all starts with a human connection! In this episode, we introduce a new Feature: the Featured book! A recommendation by our guests that will help you choose which books to read. Every week a new book for you to read. 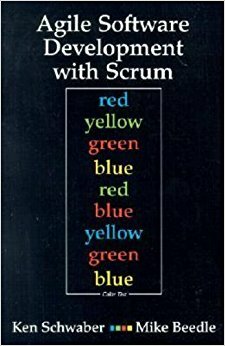 This week Donald recommends you revisit one of the classics: Agile Software Development with Scrum by Schwaber and Beedle. Listen in to learn why! In this episode, we discuss how teams, in the forming phase, may get stuck in the avoidance of conflict, and how conflict may actually be a sign that the team is progressing in their journey to be an effective team. It all starts with a human connection! We describe tools and signs that help us detect if our teams are stuck. For more than 10 years, Don has been a scrum master and coach working in different sectors in London and across the UK as an independent consultant. 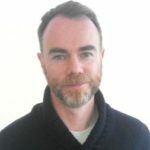 With a background of 10+ years in several development roles for web and finance systems, Donald has a good technical knowledge of modern development techniques, and can quickly build rapport and respect with development teams, understanding their issues and helping them to find the right solutions. You can link with Donald Ewart on LinkedIn and connect with Donald Ewart on Twitter. You can also find out more about Donald’s work on his website. Previous Previous post: Donald Ewart reminds us: you need to be setup to be Agile!